Corsica has usually been accounted as part of Italy, although today it forms part of France. The island, in the western Mediterranean, has been occupied since the Palaeolithic period, but like its southern neighbour, Sardinia, its early inhabitants were strongly influenced by various ancient invaders and colonists. The island is mountainous, with only about a third of its surface providing relatively accessible land for farming and habitation. The oldest-known site of habitation on the island is the Coscia Grotto, where stone tools were found. The Mesolithic (9000-6000 BC) seems to have witnessed an expansion, with several sites having been discovered across the island which bear similarities to contemporary Sardinian culture. Occupation of the island in the Neolithic (6000-3000 BC) seems to have been impermanent at first, but a new wave of arrivals between 5000-4000 BC introduced cattle and farming, along with permanent settlement. The Torrean culture of the Bronze Age (3000-700 BC) built 'torri', towers and constructed rough figures armed with Mycenaean-style weapons. Some of the figures bear marked similarities to the Shardana of the thirteenth century BC, and these people were probably the direct ancestors (at least in part) of the later Iron Age Corsi natives. The Corsi were a group of Italics who settled on the island of Corsica, which is usually accounted as part of ancient Italy. Their Iron Age home on the western edge of the Tyrrhenian Sea was neighboured by the Sardi to the south. 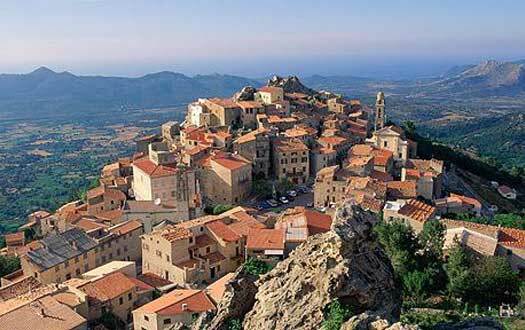 The early people of Sardinia probably migrated onto the island from Italy via Corsica, so it would seem likely that some of those Italian migrants remained on Corsica, forming a society that was very similar to that on Sardinia. The Ligurians are often held to be the ancestors of many of the western Mediterranean's early populations in much the same way as the Pelasgians were held by the ancient Greeks to be the original inhabitants of Greece. While one recent DNA survey has supported a Corsican-Sardinian link, the other has formed quite the opposite view, suggesting that the Corsicans and Sardinians were of different origins. It proposed that the people of Tuscany bear the closest affiliation to Corsicans, judged to be a Neolithic connection which introduced the first permanent settlements. More work in this field is needed to produce a definitive result. During the first millennium BC, the island very quickly came to be dominated by the Phoenicians and Carthaginians, at least along the coastline. On Sardinia, the natives responded from about 1500 BC by building their settlements around nuraghi, round tower fortresses which sat inside additional fortifications. Around the margins of the settlements, on vantage points, minor nuraghi were built to act as forward posts. It is these fortress-building people, both on Sardinia and Corsica, who are often identified as the Shardana of the thirteenth century. 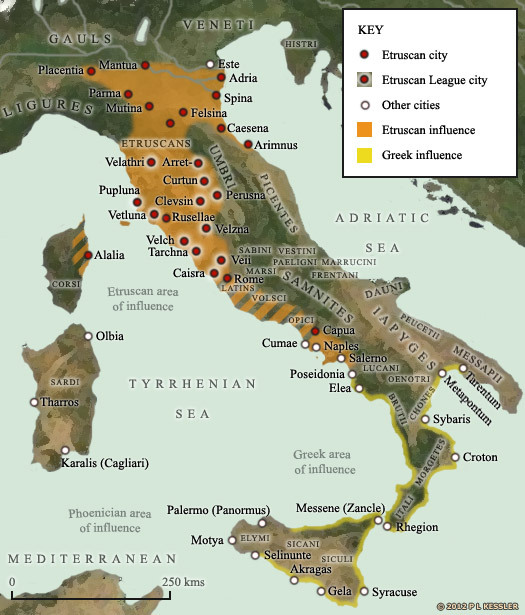 The Etruscans dominate western central Italy, along with a wide swathe of territory towards, but not quite reaching, the Veneti tribe (around modern Venice), and a stretch of territory along the western coast as far south as Naples. Their city of Alalia (modern Aleria) dominates eastern Corsica, completing a semi-circle of territory that forms the border with the Phoenicians of Carthage and the Greeks of southern Italy and Sicily. Alalia is a new city, but perhaps one which replaces some native settlements. Farther down the coast, the Etruscans have a large necropolis at Casabianda which is excavated between 1960-1981. Despite being an Etruscan creation, the necropolis reaches the height of its use between the sixth to third centuries, with noticeably Etruscan artefacts and remains being evident, suggesting that despite the later Greek dominance on the eastern side of the island, Etruscans are still evident. The necropolis is abandoned with the arrival of the Romans. Greeks land at Alalia on Corsica's eastern coast in opposition to Phoenicians on the western coast, and begin to dominate their side of the island. Their presence brings Corsica its first documented mention in ancient history. These particular Greeks are Phocaeans from Ionia, who abandon their homeland just twenty years after arriving on Corsica (which they know as Cyrnus or Kyrnos). Herodotus gives them the credit for founding Alalia (or Calaris). The threat from the Greek colonies such as Syracuse (on Sicily) and Alalia (on Corsica) in the western Mediterranean recedes when Carthage, in alliance with Etruscan cities, backs the Phoenicians of western Corsica and succeeds in excluding the Greeks from contact with colonies such as Gadir in southern Iberia. Following victory at the Battle of Alalia on Corsica in 535 BC, the forces of the Etruscan city of Caisra massacre the surviving members of the Greek crews and subsequently establish their own settlement on the island (according to Diodorus), either at Alalia or nearby. Unfortunately, despite being on the winning side, the Etruscans see their influence being limited to the Tyrrhenian Sea thanks to the sheer dominance of Carthage in the Mediterranean. The First Punic War erupts between Rome and Carthage. It starts in Sicily and develops into a naval war in which the Romans learn how to fight at sea and eventually gain overall victory. As a result, Carthage loses Sardinia and the western section of Sicily, while Alalia is occupied by Rome during the war (in 259 BC). 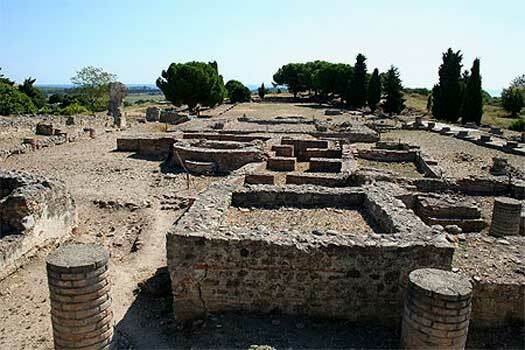 The city is destroyed in the course of clearing Carthaginians out of the area. 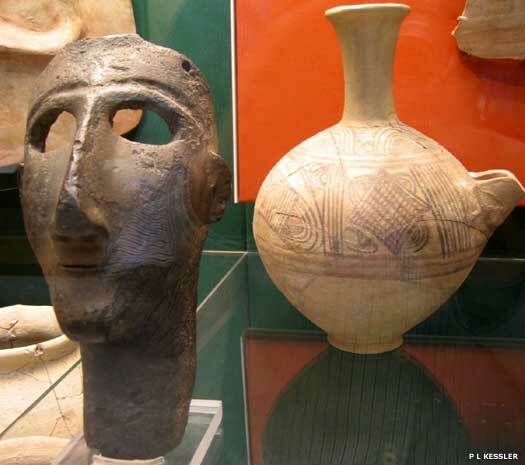 Corsica remains a Roman possession until AD 455 and the Etruscan population is slowly absorbed into Latin culture. The Romans rebuild Alalia and add a major naval base along the shoreline outside its harbour. During the early years of the empire, the city, as Aleria Colonia, becomes more prominent, rising to become Corsica's capital. Following the collapse of Western Roman authority in the fifth century, Corsica was added to the powerful Vandali kingdom for a time. The Eastern Roman empire conquered the island in AD 534, capturing it just a year after the Vandali were destroyed. Despite the Lombard invasion of mainland Italy later in the sixth century, from Ravenna the Byzantines managed to retain control of the extreme south of the Italian peninsula, below Benevento, along with the islands of Corsica, Sardinia, and Sicily, and a wide strip of territory between Rome and Lombardic northern Italy. Corsica, however, was not so easily held onto as Sardinia. Prior to the Eastern Roman arrival, it had experienced raiding by Ostrogoths and Vandali, with no side gaining overall control. After conquest, raiding by leftover Ostrogoths continued, along with Lombards and then 'Saracens' of the Islamic empire. Ultimately, the Byzantines lost the island to the Lombards, who almost immediately lost it to the Franks. What the natives made of this kaleidoscope of invaders remains unrecorded. Despite over two centuries of Roman Catholic Christianity on the island, practiced by many Romans, the native Corsi still seem to have been pagans. The Byzantines attempted to convert them, and monasticism also became popular, but there is little record of whether their efforts were rewarded in the short term. 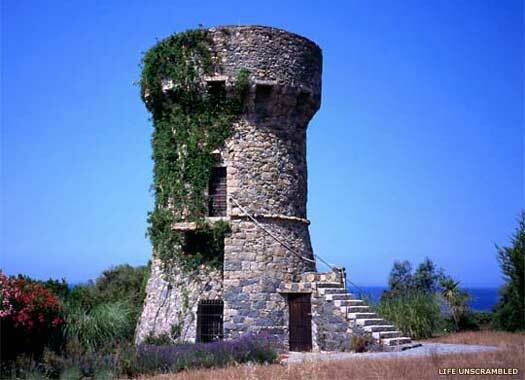 In fact, there is little record of Corsica's medieval history at all, except where it involved outside interference. Few leaders or rulers of any type are known, and overall, the island seems to have existed in a unrecorded void. The city of Aleria, ravaged by fire in AD 410 from which it has never recovered, is now sacked by Vandali. Far from annexing the island to their growing Mediterranean kingdom, which they do with Sardinia and Sicily, it is abandoned by them and diminishes rapidly while they control the western Mediterranean. Alalia shrinks to a village which is eventually abandoned in favour of new settlement. It is this which forms the basis of the modern city of Alaria. Gaiseric of the Vandali completes the subjugation of the island, securing it for his growing empire in the western Mediterranean. Corsica remains a Vandali possession for sixty-five years, with its valuable forests supplying the wood for their fleet. The Eastern Roman empire conquers Corsica, capturing it shortly after the Vandali kingdom of North Africa is destroyed. Cyril, lieutenant of General Belisarius, leads the operation, and the island is placed under the governance of the newly-created exarchate of Africa. Despite the Lombard invasion of mainland Italy later in the sixth century, from Ravenna the Byzantines manage to retain control of the extreme south of the peninsula, below Benevento, along with the islands of Corsica, Sardinia, and Sicily, and a wide strip of territory between Rome and Lombardic northern Italy. After a siege lasting three years, the city of Pavia falls to the Lombards. They make it the first capital of their new kingdom. Although the exarch of Ravenna manages to retain control of the region around his imperial city, and also re-secures Rome through a narrow corridor of territory running through Perugia, the Lombards still have free access to southern Italy and their conquests there. Ravenna also controls the extreme south of Italy, below Benevento, along with Sicily, Sardinia, Corsica, and a wide strip of territory between Rome and Lombardic northern Italy. Pope Gregory I writes to Bishop Peter of Alaria, which suggests that Christianity has already entered the island, at least to a degree (or has survived from the days of the Roman empire). The bishop is instructed to recover converts who have lapsed (a regular process in newly-converted regions), and to convert more of the island's pagans. Bishop Peter is also sent funds for the purchase of additional baptismal robes. The result of the bishop's work is unclear, as Alaria is left unattended by ecclesiastical authority in 601. Following the recent loss of Eastern Roman Africa to the Umayyads, the western Mediterranean islands have suddenly become much more vulnerable to attacks by Islamic raiders. In this year they launch their first assault against Corsica. Corsica is conquered by Liutprand of the Lombards to prevent the island from being captured by the Umayyads. This ends almost two centuries of insecure and very poorly recorded Eastern Roman governance. Lombard rule is predictably brief, however. When the Frankish King Charlemagne is called upon to support the Pope in the face of a Lombard invasion of his territory, Corsica falls straight away. It remains a possession of the Franks and then their Germanic successors, the Roman empire, despite repeated Islamic attempts to conquer it. 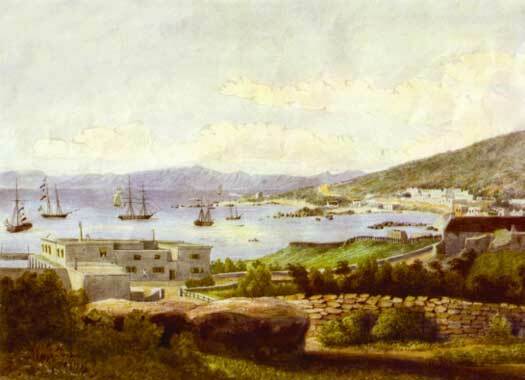 The first of a series of incursions onto Corsica from Moorish Spain takes place. They are defeated by one of Charlemagne's lieutenants, only to return in 807. Burchard, Charlemagne's constable, defeats them this time, but again, in 810, they return. An alliance of local nobles and Franks deals them a decisive defeat this time, virtually wiping out their forces. Despite an expedition by Charles the Younger, the Moorish threat remains very serious. Now Corsica's defence is handed over by the Roman Empire to Boniface II of Tuscany, and he carries out a successful expedition against the Aghlabids in Africa. 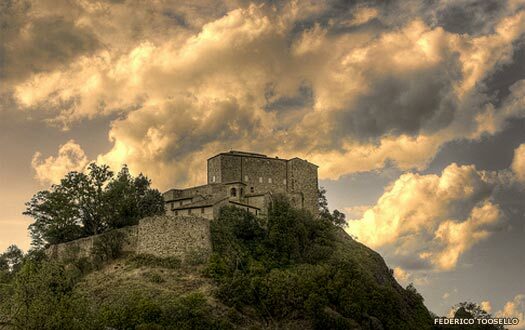 He also builds a fortress in the southern part of the island which is named Bonifacio, and for the next century, Corsica remains part of the march of Tuscany. Margrave Boniface II of Tuscany. Adalbert I, son of Boniface of Tuscany, succeeds his father and continues the fight against Islam. Despite the best efforts of the Abbasid caliphate to take Corsica, the Tuscans remain in control in the name of the Roman Emperor until about 930. Margrave Adalbert I of Tuscany. As with much of the western Mediterranean, Corsica is a target of attacks by the Islamic empire. The Aghlabids have already seized Byzantine Sicily and attacked Rome, making them a force to be reckoned with. Corsica probably has its own system of Byzantine legates of the same nature as Sardinia, but with less power due to the control of the island by the Tuscans. Unlike on Sardinia, these legates probably do not become increasingly independent during the ninth century, although it would appear that they do emerge as nominally independent ruling giudici by the thirteenth century. Margrave Adalbert II of Tuscany. Guy's death without an heir seems to end Tuscan influence over Corsica. Guy is succeeded by his brother in Tuscany, but about a year later Berengar II of Italy, margrave of Ivrea, invades Corsica, throwing out the governance of the Roman Empire in his own quest for control of the imperial throne. King Berengar II of Italy. Margrave of Ivrea. Berengar is defeated by the Saxon king of Germany, Otto I and imperial control is subsequently restored (by 965). The restoration of authority does nothing to restore peace to the island, with Corsican politics and internal power struggles between rival nobles being the focus of attention. Corsica is apparently divided between north and south, a division that has survived to the modern day, and regional rivals fight for supremacy. The lords of Cinarca in the south have gradually gained the advantage, and they now bring together a national assembly in the Morosaglia Valley, in the centre of Corsica. The idea is to establish a basis for peace and order across the island, and this sentiment is strongly supported by Sambucuccio, lord of Alando in the north. The assembly is successful in bringing peace to the north, but the south remains anarchic. The assembly calls in William, margrave of Massa, to help finally bring enforced peace to the south, which he does by 1020 after driving out the count of Cinarca. In the process of bringing a kind of peace to the island, he effectively governs it, and he passes on his newfound position of power to his son, although fractures in Corsica's peaceful appearance frequently occur. Conflict between the rival nobles on the island has become such a serious issue that the general population requests that overlordship and administration be transferred from the Holy Roman empire to the Papacy. This apparent solution is short-lived, with the papacy transferring control of Corsica to the powerful republic of Pisa in 1090. Pisa replaces the governing papal legates with giudici which it appoints. The long running struggle for supremacy in the Mediterranean between Pisa and Genoa soon spreads from Sardinia to engulf Corsica. Pope Innocent II divides the ecclesiastical rule of the island between Pisa and Genoa. It is hoped that the two republics can govern the island between them, but they fail to cooperate. The serious and destructive struggle between Pisa and Genoa shows little sign of abating, despite repeated truces. To protect Corsica, the island is annexed by the Papal States, although it still appears to be dominated by Genoa, at least commercially. The ongoing conflict between Pisa and Genoa reaches a head. Genoa has recently gained additional influence and power by extending its maritime empire to parts of the Crimea, allowing it to establish the colony of Caffa there. It has also made a highly-profitable alliance with the resurgent Byzantine empire which directly impacts upon the ability of Pisa and Venice to compete commercially. In 1282, Pisa attempts to gain administrative and commercial control of Corsica when the giudice of Cinarca, Sinucello, revolts against Genoese dominance and requests support from Pisa. The situation quickly escalates from a Genoese blockade of Pisan trade on the island to full-scale war. The Italian republics of Genoa and Pisa had been fighting one another for control of the western Mediterranean for over two centuries, with neither city gaining a decisive victory. Both sides used the islands of Corsica and Sardinia as battlegrounds, both literally and politically, and neither island benefited much from the conflict. However, following its sweeping victory in the naval Battle of Meloria in 1284, Genoa was unopposed in its governance of Corsica. The city controlled Corsica for five centuries, although without always being able to focus fully on its needs. Genoa's overseas disputes and wars and its internal political situation, which at times could be stormy, meant that Corsica suffered. When Genoa caught a cold, Corsica sneezed, and Genoa's discord could lead to fighting on Corsica between political opponents. This changed in 1453, when Corsica's diet (a general assembly held by the nobles on the island) voted to request the protection of the Bank of St George. This had been founded in 1407 in Genoa as one of the world's first chartered banks. It had been involved for some time in Genoa's credit issues, supplying safeguarded loans and becoming so dominant in the republic's monetary affairs that it was able to take over the task of collecting public taxes in some of the republic's territories as security for its loans. In return, the bank would be able to collect taxes in Corsica, but would also deliver vital stability to the island. Shortly after taking office, Pope Boniface VIII sweeps all existing agreements and treaties aside with his proclamation of a 'Kingdom of Sardinia and Corsica' that will, naturally, be a fief of the papacy itself. Boniface offers the fief to James II of Aragon along with papal support should he wish to abandon his territory on Sicily in exchange for invading Pisan-supported Sardinia. James does not immediately take up the offer. James II of Aragon forms an alliance with Giudice Hugh II of Arborea to conduct a campaign to take the Pisan-occupied territories of Cagliari and Gallura. This they do, also capturing the city of Sassari, which lies immediately south-east of Porto Torres on Sardinia. The territory is claimed as the 'Kingdom of Sardinia and Corsica', with Hugh and James ruling jointly, although Hugh still commands Arborea under his own authority while a viceroy governs the captured territories for Aragon. It takes until 1326 for the declining Pisa to officially cede Sardinia in its entirety. Peter IV of Aragon invades Sardinia in the continuance of Aragon's claim to rule all of Sardinia. He attacks Arborea, intending to remove the independence of Giudice Marianus, or destroy him entirely and claim the whole island. Marianus ends the alliance with Aragon and instead sides with Aragon's enemy, Genoa, which also infuriates the Pisans, but Marianus remains undefeated. The so-called 'Kingdom of Sardinia and Corsica' retains its status as a crown territory, rather than being incorporated directly within the kingdom of Aragon, although Corsica has not even been conquered. An opportunity for Peter IV of Aragon to press his claims to the island arises thanks to Genoese rule of the island still being resisted by the barons of the south and the hereditary caporali in the north. He sends a force to conquer the island, which it does under the leadership of Arrigo della Rocca in 1372. In a sudden about face, Cape Corso's barons appeal for help to Genoa, which is distracted by other problems. Aragonese conqueror and lord of Corsica. 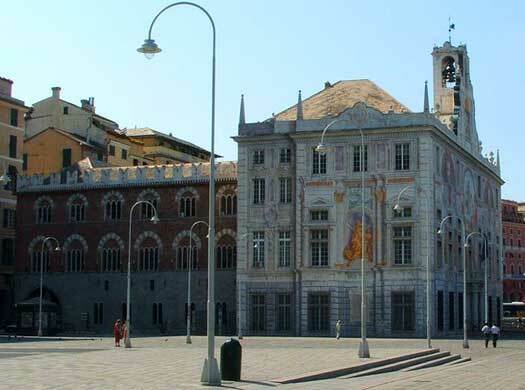 Genoa has been able to send a hired company of five to govern the island. Called the Maona, they attempt to work in unison with Arrigo della Rocca, but four of them resign in 1380, leaving Leonello Lomellino working alone with Arrigo. Surviving member of the Maona. Sole governor from 1401. Arrigo della Rocca dies, leaving Leonello Lomellino the sole surviving governor of Corsica. In order to safeguard the interests of the island for his masters in Genoa, he builds Bastia, on the island's northern coast. Leonello Lomellino visits a Genoa that has briefly fallen to the French. He is bestowed with the title 'Count of Corsica', but Cinarca has been seized by the Aragonese general, Vincentello d'Istria. The nobles of Terra support him and he proclaims himself count of Corsica, before seizing Bastia. Aragonese conqueror and rival count of Corsica. Leonello Lomellino has been unable to dislodge his rival count, Vincentello d'Istria. In fact, his situation is worsening, as he has lost all of Corsica with the exception of Bonifacio and Calvi. Fortune smiles on him when d'Istria develops a feud with the bishop of Mariana and is forced to visit Aragon to seek support. While he is gone, Lomellino and his Genoese forces reconquer the entire island. Fortune then disappears while the Great Schism divides Corsica along ecclesiastical lines, with Genoese and Pisan sees in opposition to one another. D'Istria returns shortly before 1419 with a fresh Aragonese force and is able to take back all his former possessions, leaving Lomellino again with Bonifacio and Calvi. Returned from Aragon and reconquered much of Corsica. With d'Istria now in charge of Corsica, Alfonso V of Aragon arrives to take personal possession. Calvi falls to his fresh forces, but while Bonifacio refuses to surrender, a general revolt is triggered by his heavy taxes. Alfonso agrees terms with Bonifacio, which remains an independent Genoese city state, and he withdraws from the island. Having been trying in vain for fourteen years to put down the general rebellion sparked by the anti-Aragonese tax revolt, Vincentello is now captured by the Genoese at Bastia. They execute him as a rebel. The Genoese defeat Aragonese General Paolo della Rocca in a major victory. To try and secure Genoese authority on Corsica, the new city of San Fiorenzo is built (close to the ruins of Nebbio). However, the fighting between Genoa and Aragon goes on. In 1444, Pope Eugene IV sends a 14,000-strong army to end the fighting on Corsica but this is routed by the Corsicans themselves. A second attempt brings more success, killing the Corsican leader. The new Pope Nicholas V is Genoese, so as an attempt to bring stability to the island he grants all of his personal rights and papal holdings there to Genoa. The south remains dominated by the counts of Cinarca, who are nominally subservient to Aragon, and the Terra di Comune, which is effectively controlled by Galeazzo da Campo Fregoso. Genoa's continued political instability drives Corsica's diet (a general assembly held by the nobles on the island) to request the protection of the Bank of St George. In return, the bank is able to collect taxes in Corsica, and will be able to deliver vital stability to the island that Genoese control has so far failed to deliver. Change for the better is almost immediate. The Aragonese are finally driven out and a central government is set up. The barons resist, so they are militarily liquidated, one by one, until the the survivors flee to Tuscany in 1460. Peace is ephemeral, disappearing when a Genoese by the name of Tommasino da Campo Fregoso revives his family claims over the island. He succeeds in capturing the interior. Just two years later, the duke of Milan, Francesco Sforza, overthrows the ruling family in Genoa and lays claim to the whole of Corsica. He is quickly able to make good his claim (by 1464), but his death in 1466 reduces his de facto rule to nominal status. Tommasino da Campo Fregoso persuades Duke Gian Galeazzo II Sforza of Milan to grant him mastery of Corsica. He is granted control of the island's strongholds and marries the daughter of one of the most powerful barons. Genoese lord of Corsica under Milanese suzerainty. The Corsicans revolt again, and call upon a descendant of the Malaspinas to support them. The brother of Jacopo IV d'Appiano, prince of Piombino, answers that call. Gherardo, count of Montagnano, proclaims himself count of Corsica and captures Biguglia and San Fiorenzo. Tommasino da Campo Fregoso quietly sells off his rights to the Bank of San Giorgio. Count of Montagnano. Count of Corsica for about a year. After kicking out Gherardo, the Genoese Bank of San Giorgio quells all further revolt by 1511, giving itself complete control of Corsica. The death of Ferdinand II of Aragon means that his kingdom is inherited by Charles I of Castile. Castile and Aragon are merged together permanently, creating a unified Spain for the first time since it had been part of the Roman empire. The viceroy of Sardinia, formerly of Aragon, remains in office, and Corsica, which has never been conquered, is dropped from the formal title claimed by Spain. The war ends in 1559 with the signing of the Peace of Cateau Cambrésis between England, France and Spain. Emmanuel Philibert regains his duchy of Piedmont and Savoy in full as part of the war's ending and he departs his post in the Spanish Netherlands to take up his duties. Corsica is restored to Genoa, while Spain is confirmed in its direct control of Milan, Naples, Presidi, Sardinia, and Sicily. The long rule of the island by Genoa is jeopardised by the start of the Corsican Revolution. The fight for independence takes twenty-six years but it results in victory and the throwing out of Genoese rule, if not Genoese troops, who remain in various strongholds. 'King of Corsica' between Mar-Nov.
With Genoese rule clearly weakening, the Corsican revolution that had started with Theodore and his supporters now achieves its aim. A fully independent Corsican republic is declared in November 1755. The Corsican Revolution lasted for twenty-six years, during which the republic of Genoa, which had governed the island since 1284, lost control. A fully independent Corsican republic was declared in November 1755, led by Pasquale Paoli. A constitution was written under his direction, using the island's national language of Italian, and the republic was recognised by the bey of Tunis. Genoese troops still remained on the island, occupying several strongholds from which they could not be ejected by the revolutionaries, so these remained in place until Genoa sold its freehold for the island to France, in 1768. The basis of right by might was no help at all for the Corsican republic, as France had all the might, as well as the legal rights following its purchase. Thanks to this, the republic's existence was a short one. Protected from France by Genoa, especially during the sixteenth century Italian War, Corsica now had no protector and no real answer to a fresh French invasion. President of the General Diet's Executive Council. Corsica captures the island of Capraia from Genoa, which despairs of ever being able to reconquer either island. Under the terms of the Treaty of Versailles, France purchases the rights to govern the island from its previous owner, Genoa, which is forced to make the sale in its declining years in order to cover some of its large debts. The Corsican republic has no say in the matter. The French invade Corsica in the same year, 1768, and Paoli leads the resistance against them for a full year. But that resistance is dealt a fatal blow at the Battle of Ponte Novu in 1769, which gains France full military control of the island. The French conquest of Corsica which ended the independent Corsican Republic took just a year or so to complete. The acquisition was necessitated largely by the need to keep the British from taking it, as they had already gained Gibraltar and Minorca. The defeat of the Corsican resistance under Pasquale Paoli resulted in the Corsican Crisis in Britain, which had been supplying the Corsicans with secret aid but not military support. Corsica was incorporated into France in 1770 and its constitution was repealed. The republic was at an end and the island was now merely another region of France. Pasquale Paoli went into exile in Britain until the French Revolution permitted him to return to Corsica (by which time the island was no longer a personal possession of the king of France). French culture slowly integrated itself into the island's millennia-old Italian culture and language. Coincidentally, perhaps, Napoleon Bonaparte was born in 1769, the year in which France completed its conquest of the island. He was born in the capital, Ajaccio, and would rise to become France's most important and powerful citizen in the early nineteenth century, leading it to conquer much of Europe and shape the Continent's history. 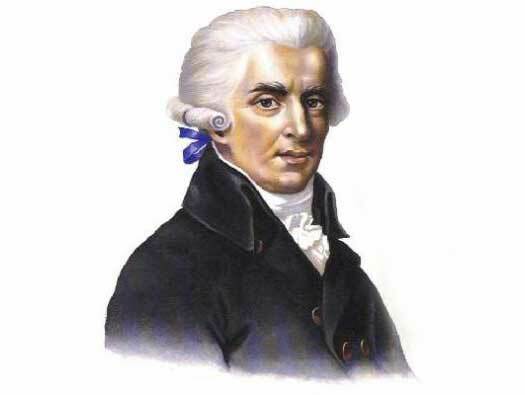 Former leader of the Corsican Republic, Pasquale Paoli, now returns to Corsica, released from exile by the French Revolution. He is initially supportive of it, and is fated in Paris as a hero of republicanism, but he later breaks with the revolutionaries. At the height of the 'Reign of Terror' in France, Pasquale Paoli invites Britain to free Corsica of French rule. Under Lord Hood, British forces land on the island and drive out the French. The Anglo-Corsican kingdom is established, with Corsica in personal union with the United Kingdom which is represented by a viceroy. A relatively democratic constitution is adopted, from which is formed an elected parliament. British viceroy. Later viceroy of India (1807-1813). With the exact division of power between Britain and Corsica unclear, some tension arises. Sir Gilbert Elliot moves the capital from the traditional site at Corte to Bastia on the coast, which has much better access to British supply vessels and Royal Navy ships. With Spain's entry into the Napoleonic Wars the British defence of Corsica has become untenable. British forces withdraw in October, taking Pasquale di Paoli with them with the offer of residence in England (where he dies in 1807). The island is re-occupied by France on 19 October the same year. Corsica's brief period of recreated independence is over. Troops are landed on Corsica by Lord William Bentinck, the commanding officer for British operations in Italy. They take control of the island from French Napoleonic troops, and Bentinck foresees the recreation of the Anglo-Corsican kingdom. The Treaty of Bastia is agreed between him and Corsica's post-Napoleonic representatives, with the Corsicans agreeing to Britain having sovereignty over the island (although this decision is far from universal amongst the natives). British Foreign Secretary Lord Castelreagh subsequently insists that Corsica should be returned to the restored French monarchy. With Napoleon Bonaparte's return from exile on Elba, Joachim Murat launches an ill-advised campaign to the north of his kingdom of Naples, occupying Rome for a period. When Napoleon falls, Murat flees to Corsica, launches an attempt to retake Naples, and is arrested and executed by the rightful Bourbon king of Naples and Sicily. Austria renews its control of northern Italy, and the Papal States are restored to Rome, which includes the medieval principality of Benevento. From this point onwards, Corsica is permanently part of France. It is organised and governed as a French region although, due to its previous existence as an independent or foreign-controlled state, it enjoys greater powers. The island's history generally follow that of mainland France.